In which I announce the three! winners of the caption contest, and then forget to tell them how to claim their Briar Rose Yarn. (Winners, please send me your addresses!) – The Multi-directional Diagonal Scarf (that SO needs a better name) – Mash it up with Clapotis – Police/Ben E King Mash Up courtesy of CCC – Buy these Ts* – Write a pattern – Swap watcha got, for watcha need – make a tiny hat and maybe also write these folks and suggest they call their project something else – Special thanks to Heather Ordover and Jenny Spotila and Sage (for telling me about magnatunes and their policy of not being evil) and Dave (for my catch phrase) and Dolores, just for being Dolores. *The Cafe Press Shop should be working… shortly. Technology. Feh. I missed Cast On last week. It was awful. My hands were trembling and several nights I awoke in a cold sweat. You’re not spiking the podcast with something addictive, are you? I second that – it was a terrible week without Cast-On, and today was a particularly awful day until just this moment. Thank you, Brenda, I, my knitting, and my day are saved! Great episode! Is there a way to download the mash up of “Every Breath You Take” and “Stand By Me” that you played in this week’s episode? Another great show, listening with my five year old and he loved the music, whilst helping him knit his first masterpiece – a scarf for Blue Bear. Off to Cafe Press now and Innocent, his favourite drink. I’m soooo glad your back. I missed my Friday afternoon of knitting with you and was just going to go a bit loony if I didn’t get my Cast-On fix this week. did you see lime and violets cafe press shop? I couldn’t stop smiling. they are so crazy! Brenda – just to add a “me too” to the list of people who are glad there’s a podcast this week. I’m putting mine on the mp3 player for the long trip out to my daughter’s college. I get to help her decorate her new apartment this weekend. Sounds like the only knitting for me will be in the car while my husband’s driving. Thanks for keeping me company! Does the “knit like the wind” shirt come with a button that makes it speak the words in Dave’s voice? That would be pretty special, but I suppose I’d still settle for a silent version when there is again money for such things. I often enjoy your music selections, but you really hit it out of the ball park for me in this particular episode. I loved every nanosecond of the music. The essays were also spectacular this week. Thank you Brenda, for playing my poem, “Yarnversation”. I was driving down the road and when I heard it, I felt elated! I missed hearing, “Cast-On”. My knitting wasn’t the same without ya! Glad your Internet problem is fixed and you’re back on the air! My 3 & 8 year old walk around saying, “Knit, knit like the wind, like the wind, like the wind”… which made me miss the show even more! Brenda! When I saw your podcast being downloaded this morning, I nearly cried from relief. I know I’m not alone in having missed you this last week. 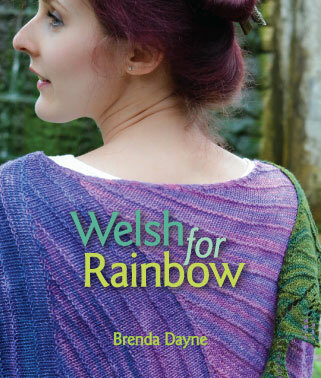 I was desolate – no Cast-On, and no time to take solace in the company of the knitters at my LYS! Welcome, welcome, welcome back, knit-sib! And thank Tonia for us all for letting us know where our dear Brenda had disappeared to. Great episode! Thank you for giving me another great hour of knittin’ and listnen’! I’d also like to say that Wyoming rocks and the long drives through it provede many hours of great knitting time. Go Wyo! Looking forward to getting my “If you’re cold, put on a sweater” shirt, once the Cafe Press shop is working. Fabulous music this week! I’ll be listening to the podcast again shortly just to hear it again. Brenda, I love Cast-On. It is my very favorite podcast. I listen to you while I spin as it is easier for me to pay attention then than while I knit. I intend to beg for your t shirt from cafe press as a birthday or yule gift from various and sundry of my friends. Thing is, I don’t see a link. Is there one? Excellent job this week, as always. I appreciate your hard work and the time and effort it takes to do this for us. Thank you. As always, a simply wonderful podcast. Well done, and thank you! Hi Brenda. Thank you for another wonderful podcast! Just wanted to let you know that the ‘supergran’ name of the innocent smothies hat thingy might be a tongue in cheek reference to a 1980’s kids tv show called, well, Supergran. 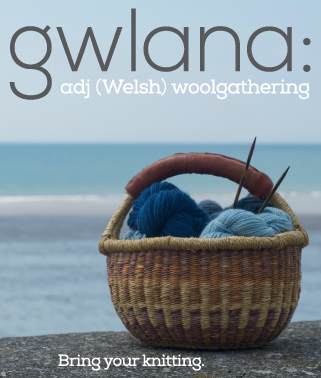 That’s what it makes me think of anyway, rather than the usual knitting stereotype. It was a really bad show, but had a very catchy theme tune sung by Billy Connolly. Another great episode! Thanks Brenda!! I really enjoyed the episode, especially the essays. I’d like to thank you for taking the trouble of podcasting again (I feel i don’t thank you enough!) and thank also your guest writers, who gave us a most touching sense of their place! I listen to your podcast at work while doing tedious sitting-at-desk tasks, and I used the new-episode-less days to catch up on your early episodes. I love them all, and am glad to have you back! The hour I squander (another CarTalk fan? )with you seems like only 20 minutes. It just flies by and I want more. You have added another dimension to knitters’ lives and I thank you. Hi Brenda, I just wanted to say how much I enjoyed the show. I only get to download every few weeks or so (when I have access to broadband) so I was very excited to have five episodes to catch up on. I also wanted to encourage everyone to knit for the Innocent Supergran project. It’s a really fun way to use up ends of yarn from projects throughout the year and you get to make laods of tiny pom-poms. I also wanted to add that before Supergran was a kids’ TV show it was a series of really fun books by Forrest Wilson. The Amazon synopsis says that “Super Gran uses her super powers to find the machine that transformed her, before it is used to create an army of supermen bent on ruling the world” and that pretty much sums it up! Thanks again for your great show. And thanks for a great show. It is such a treat. Jenny Spotila’s essay was so wonderful. I have a chronic illness also and am often confined to home for what seems like long times to me. Knitting is always there for me. Knit On, Jenny! If you do visit toronto, you must meet up with me, or I will cry and cry. Actually, I was in the UK, not far from Wales, this summer, and I thought to myself “I should meet up with Brenda!” and then I thought to myself “Or not. She’s never even heard of me. She would probably find that very creepy.” Podcasts are funny. I feel like I know you and Sage Tyrtle, but then I suddenly realise that I don’t. Brenda, you are sooooo mean! (Just kidding, of course). Dangle the idea of a Cast-On T-shirt in front of us, then make it unavailable. Ok, ok, so it’s a technical problem — but I HAVE to stop checking this website several times a day to see if the Cafe Press shop is up yet! And, you have to know that I am someone who NEVER spends her small amount of discretionary income on T-shirts. I’ll go to the thrift store for clothes, I’ll bring my lunch from home (even when all we have at home is peanut butter on stale bread) but ALL my extra cash goes for yarn. Seriously. I am making an exception in this case. I need your T-shirt, and will be to first to buy it when the Cafe Press store goes up. Thank you so much for your podcast. It is a gem and has spoiled me for pretty much all other knitting podcasts (except Knitty D and the City — they are so funny — you are the 3 square meals a day, they are the decadent dessert that you sneak downstairs in the middle of the night to eat). I consider myself a Frenda Brenda in my sane moments and a Dayniac when I’m off the wall. You rock, you’re the best, I love ya. Thanks for every single week. Sara, I also have a disability and would love to chat with you about knitting. If you see this comment and you’re interested, leave a comment on my blog, http://turtleknits.wordpress.com. Hi Brenda, I’ve searched and searched for the t-shirts! Did they ever become reality? If so, where can I find them? Hi Brenda, I really enjoy your podcasts and while you are on your hiatus I have been going back and listening to the older ones. You mention Briar Rose yarns often and I was curious about them but when I google I come up with a couple different website options. Which one is it? As a pretty new knitter I try to take advantage of the experience to be had from the more experienced such as yourself. I learn so much from listening. I honestly just learned recently that the more expensive yarns really are different to knit with. I always believed that the cheaper acrylics like red heart were really just the same.